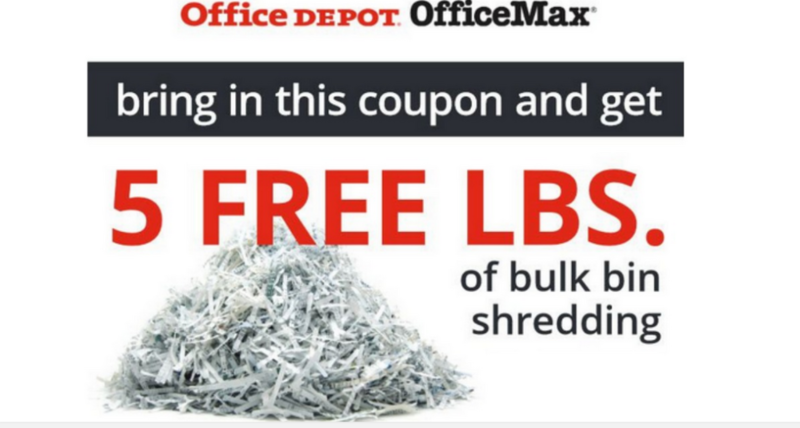 Time to purge the paper and protect your privacy with free shredding services offered at all Office Depot and OfficeMax stores. Customers can bring in up to five pounds of documents to shred free of charge. To get this offer, print a coupon or show the coupon on your phone.